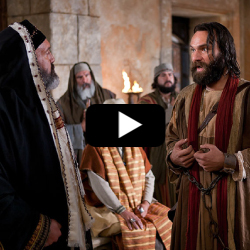 In this video about Jesus’ apostles, we learn about Peter and John in prison. We also see them set free. So, after Peter and John were arraigned, they were given a warning then they went right back to preaching the gospel at the temple. They also worked many signs, wonders and miracles among the people. Soon after, they were apprehended by the Pharisees for not listening to their warning, and they were put in prison. While in prison, during the night, an angel appeared unto them and opened the prison doors. The angel said, “Go, stand and speak in the temple to the people all the words of this life” (Acts 5:20). So, the apostles returned to the temple to preach again. Soon, they were apprehended again and brought before the chief priest who said, “Did not we straitly command you that ye should not preach in His name? 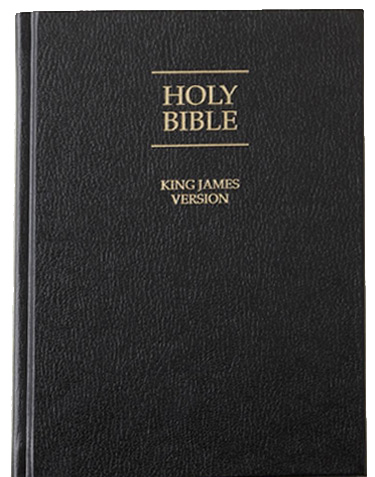 and behold, ye have filled Jerusalem with your doctrine and intend to bring this man’s blood upon us”. Then Peter and the apostles said, “We ought to obey God rather than men” (Acts 5:29). Next, the leaders of the Jews conferred among themselves and asked Gamaliel, one of the wisest among them, a doctor of the law, what they should do. Gamaliel said, “Refrain from these men, and let them alone: for if this...work be of men, it will come to nought: But if it be of God, ye cannot overthrow it; lest haply ye be found even to fight against God” (Acts 5:38-39). Then, Peter and John were taken and whipped (scourged) and were commanded not to speak of Jesus again, then they were released. Peter and John then rejoiced that they were counted worthy to suffer shame in the name of Jesus.